Home / ingredients / OK as the saying goes- you know you are Southern when……. OK I admit it, I am one of those damn Yankees. I have been told that this term describes a Northern that comes down South, find a job and stays. And yes I am definitely one of those and very happy about it! I have moved down here from New York, Long Island to be exact about 16 years ago. I am surprised that the time has passed so quickly. My granddaughter had claimed I am have been losing my Northerness and I think I have just tipped that balance. I have always loved fresh tomatoes on sandwiched but had never eaten a tomato sandwich till I moved down here – fresh sliced tomato and mayonnaise and salt & pepper between 2 slices of bread ~ yummer! Fresh Georgia peaches- oh do not let me go there, nothing like a sweet juicy peach where the juice drips down your chin! 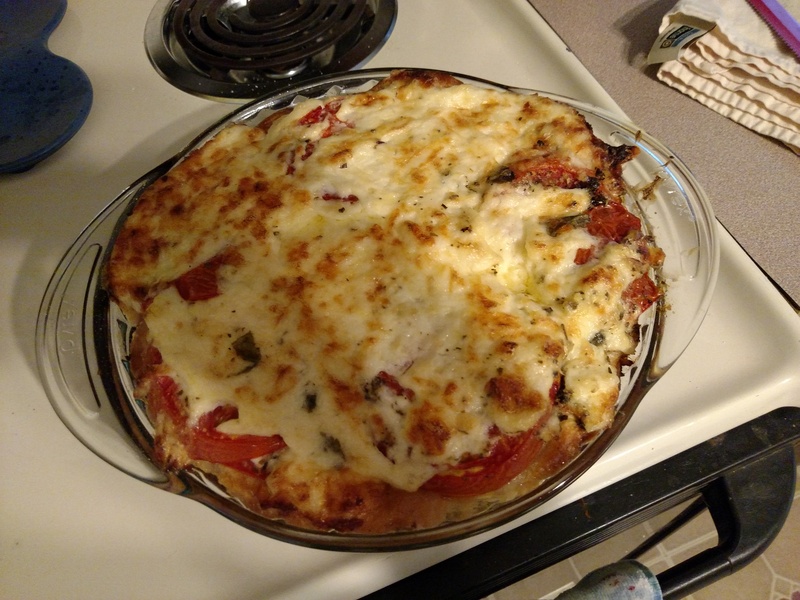 OK getting back to the subject above- I know I am not totally Southern but this past weekend I had found a recipe for Fresh Tomato Pie and I think I am in heaven. It is not as pretty as the site’s pie but it is scrumptious and loved making it and it is fast and simple. See how the author of the site has a beautiful top? I am jealous but mine tastes awesome and is my first one. 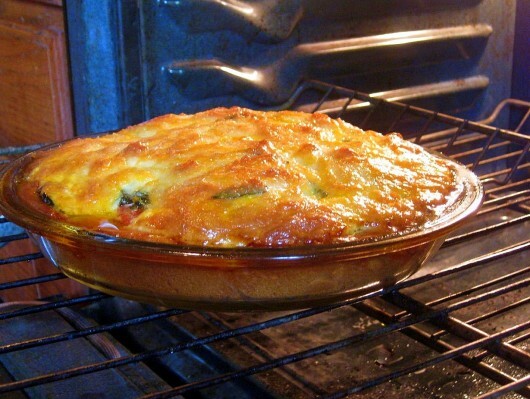 You can visit the site and find the recipe at A Garden for the House. So, how do you like your tomatoes? I love this post! As a Northerner, I graciously accept the term of Yankee; I think the Northerners who flee to the South for work are called Carpetbaggers. But as a Damn Yankee, I love soul food – for the symbolism, the connection with home, and the importance of family. Keep those peaches coming! Thanks for the link to the recipe! My dad has a garden and an abundance of tomatoes (and basil) right now. I’m passing the site on to my mom. And this Northerner Loves grits! This looks divine and the peaches where you live sound divine. I’ve been buy peaches every day but we don’t have the Georgia varitey.